A lot, at BLACKWING there is always a lot of things happening, below are the official Blackwing news. For more day to day insights make sure you follow us on Facebook . Being back again at BLACKWING headquarters we can only look back at our best year so far at AERO. 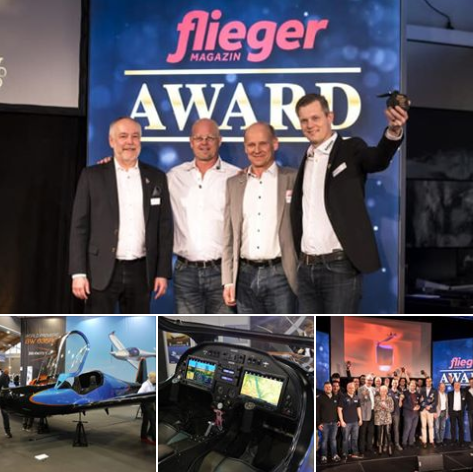 The interest in BLACKWING and the premiere of the BW 935RG has been astounding throughout the fair and we're very happy to yet again being voted the winner of the Flieger award 2019. So it goes to saying; THANK YOU to everyone who visited and supported our booth. And THANK YOU to everyone in team BLACKWING that continues to make us pushing boundaries in the safest possible way! 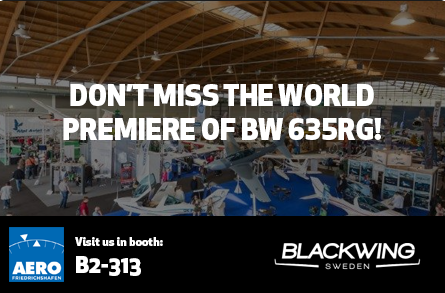 Join us this year at AERO Friedrichschafen for the world premiere of the BW 635RG featuring the Rotax 915is and much more. 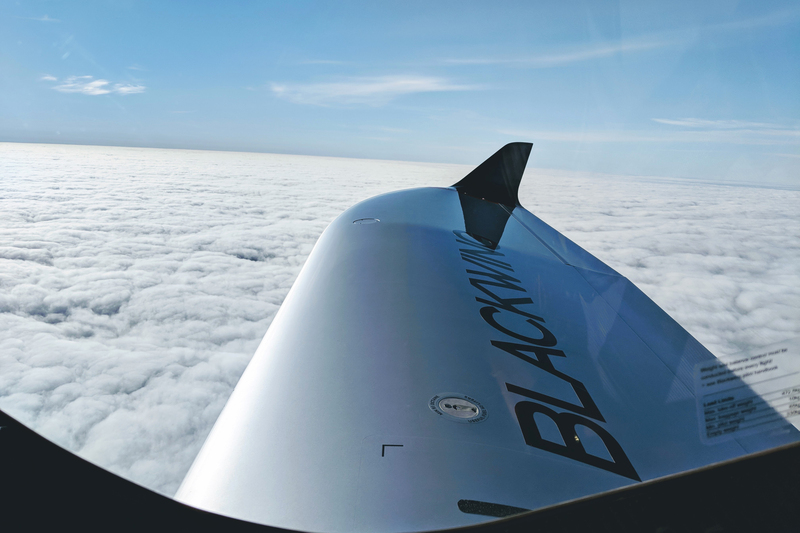 BLACKWING Sweden AB is a privately held Swedish company that designs, produces, and distributes the award-winning two-seat BLACKWING light sports aircraft. The company was founded in 2011 by Niklas & Yngve Anderberg and is based in Eslöv, just north of Malmö, Sweden. 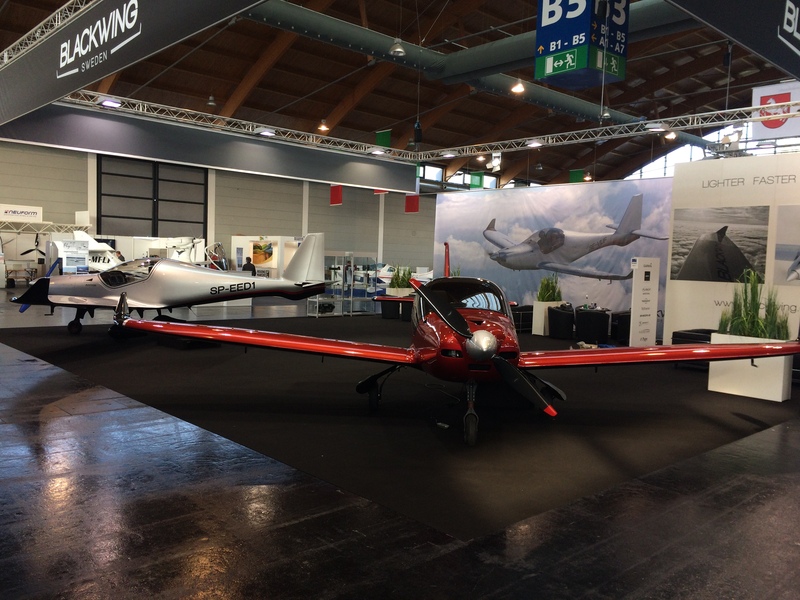 Praised and awarded by the aviation industry, we have invested over seven years of R&D, prior to the first public appearance on April 2015, at the AERO Friedrichshafen tradeshow. The aircraft has been developed using the most advanced development techniques available, resulting in a far safer and greater product than existing alternatives. BLACKWING was awarded the prestigious Red Dot Design Award ‘Best of the Best’ in 2016 and the German aviation community voted BLACKWING as the winner of the 2016 Flieger Award. BLACKWING has been featured on eight magazine covers and has been given superb reviews. The first two years of production have been sold out without any additional sales or marketing efforts, with down payments received for the first 10 aircraft and over 50 potential clients in Europe waiting for confirmation of delivery dates. Globally, 268.000 recreational aircraft are in use. Over 40.000 are registered as ‘microlight’, the certification class that is very accessible for both new and existing pilots, and the class initially targeted by BLACKWING. In Europe alone, there are 500 new registrations every year. 150 of these are in the premium segment, where BLACKWING targets the position of market leader. For more than 14 years, no significant innovation has been introduced in this market and many pilots are looking to upgrade to the latest and greatest. This explains part of the success of BLACKWING. We also believe that this market will more than double before the end of this year, with new weight regulations of 600 kg, that BLACKWING already is approved for. We have received kennblatt 960-181 and 960-182 for Germany. This approves both the BW 600FG and the BW 600RG (fixed/retractable gear) aircraft. 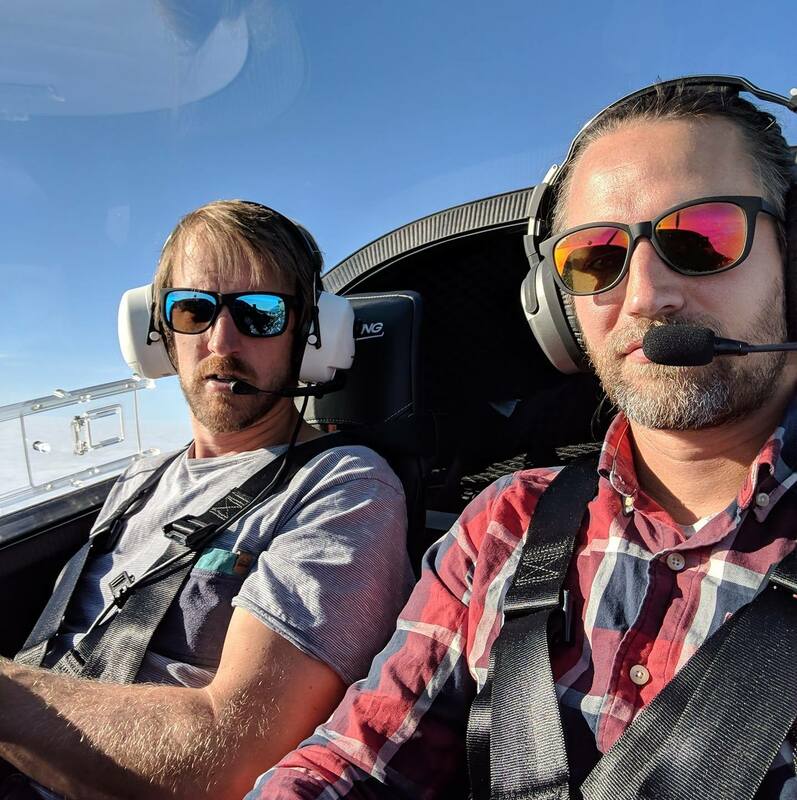 Niklas Anderberg, proud founder of BlackWing Sweden and Micky Carlson, renowed Swedish display pilot for historic aircraft and ATPL, are exploring and opening the flight envelope of the BW600R. The BlackWing team has worked for many months towards this next milestone. 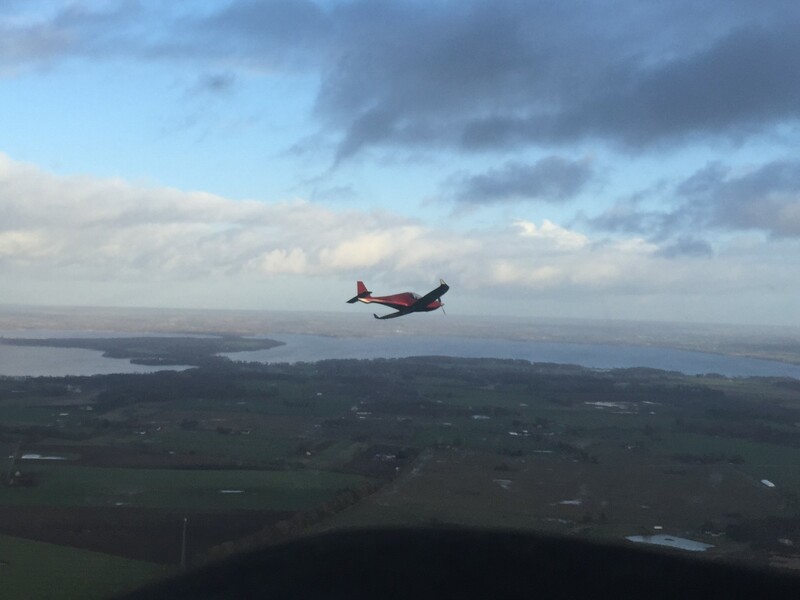 Both Niklas and Micky are very thrilled with the flying characteristics which make BlackWing such a joy to fly. The maiden flight was followed with multiple flights shortly after. The retractable gear was tested in flight at different airspeeds. So far, the calculated flight numbers seem to be rather conservative, so please follow us on Facebook to see the latest performance data. The first public presentation of BlackWing with retractable gear. The all electric patented system with manual back-up and the seamless integration with our new Garmin G3X avionics package created great market response. We took the opportunity to update our interior including more luggage room. The candy red paint scheme with clearcoated TeXtreme created a lot of positive feedback. The BlackWing display was completed with a FG model in the silver color scheme with solid Jet Black underside. 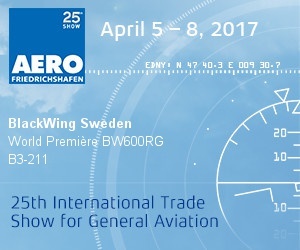 For the 3rd year, the BlackWing team will be present in the beautiful South of Germany during the biggest aviation event in Europe. No better place to discover all novelties and most of all, to come and see the World Première of the BLACKWING 600RG. 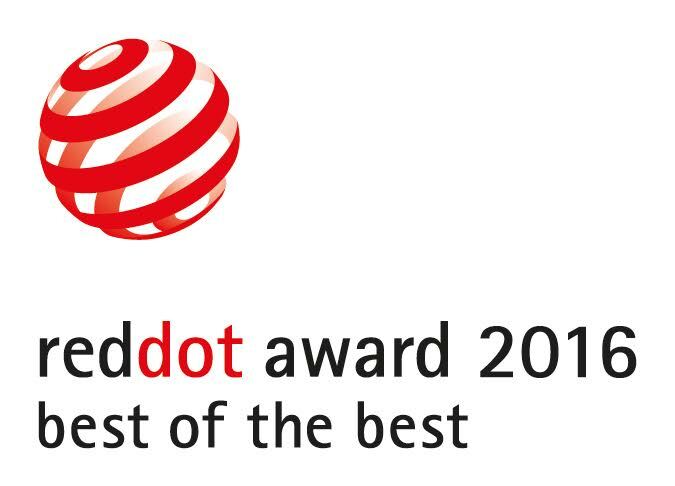 During the Red Dot Gala on 4 July, the laureates of the highest single distinction, the “Red Dot: Best of the Best”, have been honored in the Aalto-Theater in Essen, Germany. It is a tradition for Professor Dr. Peter Zec to host the impressive gala. 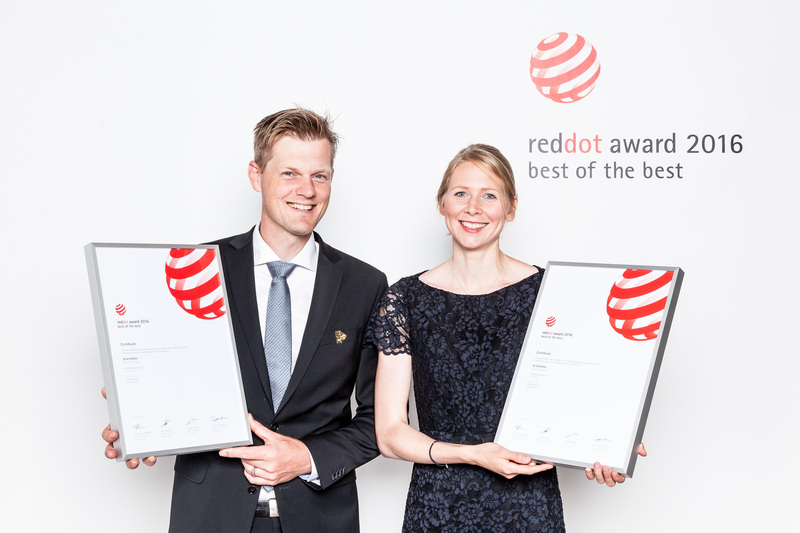 About 1,200 international guests have been watching as Niklas Anderberg and Verena Knaust received the top individual award, the “Red Dot: Best of the Best”, on stage in the Aalto-Theater. Only 79 products won the top individual award this year, which goes to the best entries of a category. The award is one of the many milestones for the Swedish aircraft manufacturer that is changing the rules. 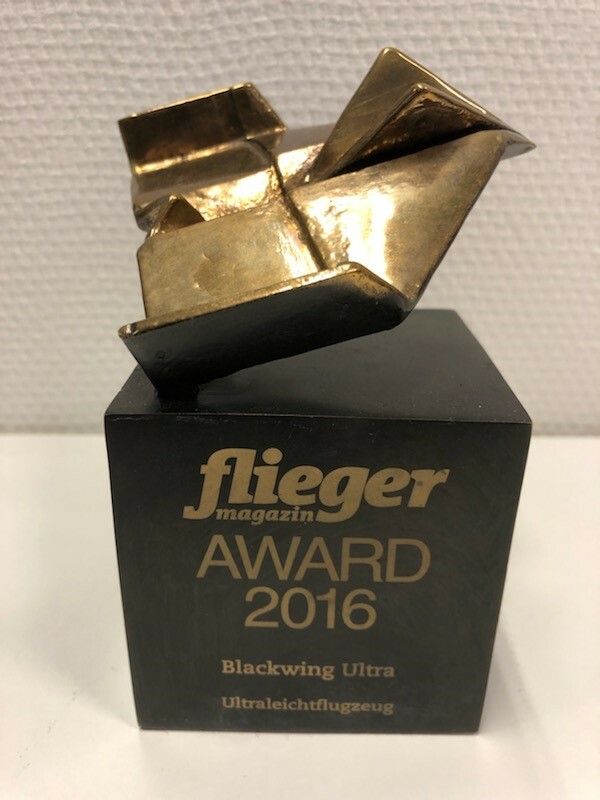 BlackWing Sweden won the Flieger Magazin Award in the ultralight category. 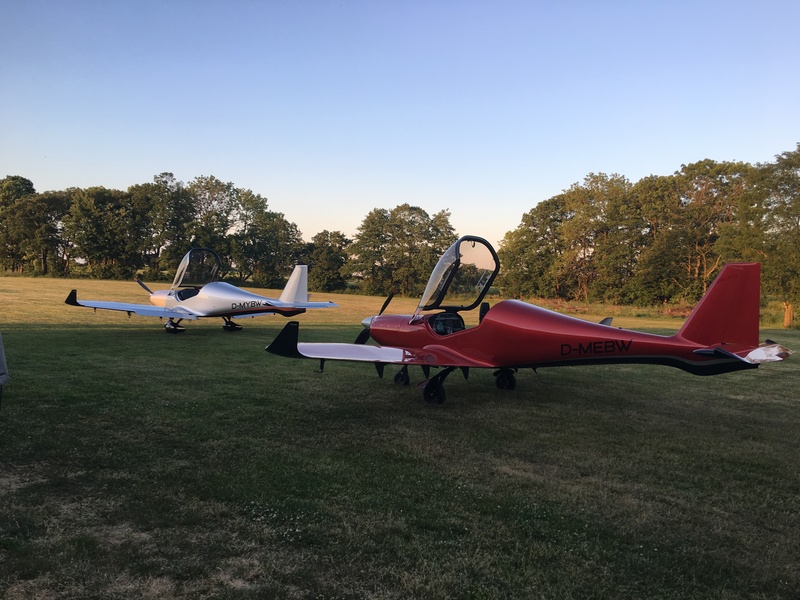 On the second day of AERO Friedrichshafen, Flieger Magazin of Germany hosted a great ceremony event at the famous Zeppelin restaurant. The award is an important recognition for BlackWing. Especially as it’s not the editors but the readers of Flieger Magazin that vote for the winner. The Red Dot jury was enthused, and awarded BlackWing: Best of the Best. In 2016, this highest single distinction in the international competition goes to only 1.5% of all entries. Manufacturers and designers from 57 nations had registered about 5,200 products and sent them to the Ruhr area in Germany – BlackWing impressed with highest design quality and makes this Swedish company one of the leaders in an international comparison. As you can imagine, we are super proud with this achievement. To design and produce a Next-gen aicraft requires collaberattion with some great people. They bring experience, knowledge and high-quality products to the BLACKWING family. -"I decided to buy an airplane two years ago I've flown pretty much every ultralight there is. But it wasn't until I tried the BLACKWING I felt that this is an airplane that fits me. The quality and the characteristics where just right. Two months later I'm an airplane owner." All though we're busy building airplanes we're never to busy answering your questions. So please feel free to contact us and we'll do our best to help you get to know the BLACKWING family. Copyright © BLACKWING Sweden AB 2019 | All Right Reserved.